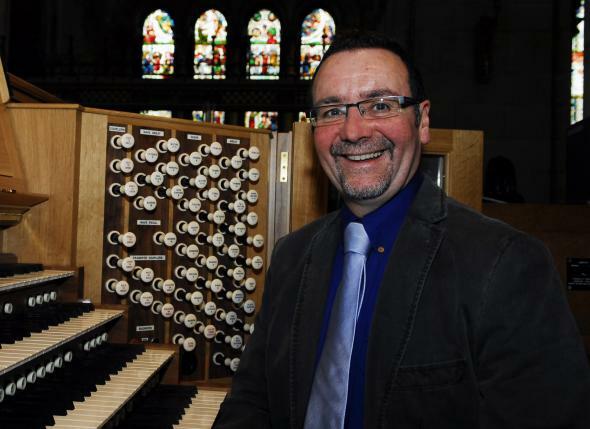 It was announced in Saint Fin Barre’s Cathedral, Cork yesterday (Sunday, 17th May) that following almost eight years as Director of Music at the Cathedral, Mr Malcolm Wisener will be retiring in August. Malcolm has brought the choir to a high standard and has overseen a wide repertoire of music in the Cathedral. He gave much time and energy to the rebuilding of the Cathedral Organ which was completed in 2013, making it one of the best instruments in the country and the largest in Ireland. We wish Malcolm every blessing as he prepares to retire and ask all our friends for their prayers for the process of recruiting his successor, which begins immediately. This entry was posted in Announcements, Cathedral, Church Music, Lay Ministry, Organist. Bookmark the permalink.